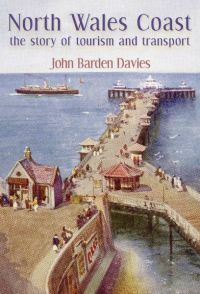 This book tells the story of how various modes of transport enabled the North Wales coast to develop as a tourist destination. Beginning with stagecoach, the author tells the story of how steamers, trains, trams, buses and cars all played their part in the growth of the coastal towns as resorts and popular residential areas. John Barden Davies was born and brought up in Colwyn Bay during the tourist boom in the 1950s and from an early age has had an interest in all forms of public transport. He spent his working life in the Church in Wales and now lives in retirement in Deganwy. The story continues into modern times when increasing traffic led to the construction of a new road system. With some thought to current environmental concerns and increasing fuel costs, the author tells the story of the revival of public transport and looks with confidence to the future of the coastal towns. This book will revive many memories, specially for those who lived in the area in the 1950s and 60s and those who spent their holidays on the North Wales coast.